The unfortunate truth is: Good bills often get defeated by legislators who refuse to cast a vote, and don’t have the guts to just vote no. Sometimes they literally hide, and stay away from their desks rather than cast a vote. When I served as speaker pro tem, I would sometimes have to send the Sgt. at Arms to find missing legislators and ask them to return to their desk to cast a vote. However, it is not mandatory for a legislator to vote on every bill, and the sergeants couldn’t force them to return to the chamber if they absolutely refused. Some would sneak out of the chamber to attend events during the final legislative voting session, including fund-raising events. Unlike most other states, in California, after a vote on a bill has closed, legislators may still change their votes so long as it doesn’t change the final outcome of the bill. They can change yes to no, or simply remove their vote from the final tally, assuming it has more than the minimum required for passage. This ostensibly allows a member to “add on” if they were off the floor during a vote and unable to push the button or respond to the roll-call. But on several of my more progressive bills that barely passed, legislators who had declined to vote on the floor would add on after-the-fact, basically to have “plausible deniability” on bills that they wanted to be able to tell voters they supported… While also telling lobbyists they did everything they could to defeat it. Here’s how it works: let’s say the lobbyists know a bill barely has enough votes to get off the floor. They also know it’s a popular bill that will be used on legislative scorecards, and members don’t want to get on the wrong side of it, especially during an election year. So they ask members to withhold their vote, but not vote against it, until they see that it passes (or not), then they are free to add on a vote after the final roll-call. There is a procedure that allows a member to prevent these add ons to their bills, by simply making the request to the presiding officer after the roll-call has closed, but it is considered rude to prevent other members from adding on in this way. Still, the procedure is used at times to make it obvious that a Legislator declined to support a bill until it was “safe” to do so. Profiles in courage… and campaign contributions. Seems like there are just a few too many of these clever maneuvers that shield our “representatives” from responsibility. Corruption is an equal opportunity employer. Case in point: AB 2145 to essentially kill community choice energy districts like those set up in Marin and Sonoma counties just passed the Assembly with support of our Assemblywoman and new Speaker, Toni Atkins. The bill was sponsored by ex SoCal Edison VP, Assemblyman Bradford using a coalition of utility workers unions as stalking horse to protect the monopoly utilities’ stranglehold on our energy future. Pass the cash for more gas, less solar, higher bills. Guaranteed. Whatever happened to the bill to establish a public bank for the state of California that Ben Hueso introduced? 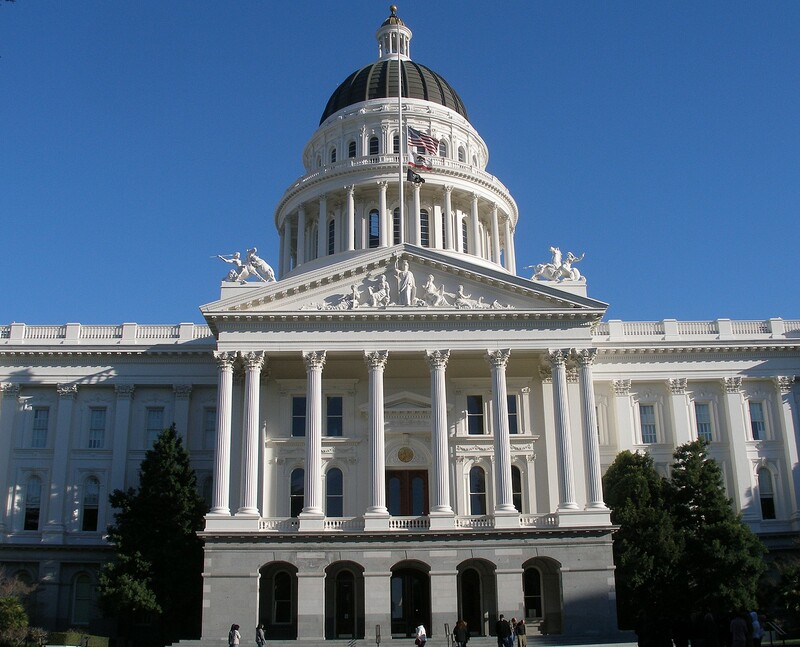 A prior bill to study the feasibility of one was passed by both the Senate and the Assembly only to be vetoed by Jerry Brown. What’s the story on this? Thank you for shedding light on this practice, Lori. I would love to see more articles like this.